If Pakistan was hoping that, after investigations into proliferation allegations and a public admission by its top scientist of leaking nuclear information abroad, the controversy would go away, it has certainly not happened. Questions are still being asked at home and abroad about the level of proliferation and, more importantly, about who else might have been involved in transferring nuclear know-how to countries like Iran, Libya and North Korea. Serious doubts have been raised about the government's claim that a handful of scientists acted on their own, without the involvement of the civilian and military establishment. The widely-held view is that because of the controlled nature of the Pakistani establishment, it would not have been possible for individuals to transfer nuclear technology to a third country. 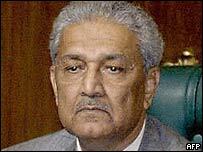 For the first time, President Pervez Musharraf has given some details of Pakistan's covert nuclear weapons programme to substantiate the government's claim that top scientist Abdul Qadeer Khan acted on his own to pass details to other countries. He says Mr Khan, as sole authority for running the clandestine operation to illegally acquire nuclear technology and know-how for Pakistan in the past, took advantage of his position to sell some of the information to other countries. 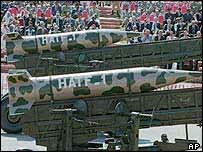 If President Musharraf's explanation is to be believed, it all happened when Pakistan was covertly developing its nuclear weapons programme; and only a handful of people were directly involved to ensure a high level of secrecy. According to him, when Pakistan embarked on its nuclear weapons programme in 1976, it was a closely guarded secret between Dr Khan and then Prime Minister Zulfiqar Ali Bhutto. With the change of government, military ruler General Zia-ul-Haq and Dr Khan shared the information for several years, and the civilian head of state became the third player in the late 1980s. Other than these three, no-one - including successive prime ministers - was informed about the exact nature of the weapons programme until it became overt in 1998 when Pakistan carried out its first nuclear tests. It was during this period that Mr Khan was considered the blue-eyed boy of the Pakistani establishment. He was given authority to develop contacts with Europe's underworld that was illegally dealing in nuclear technology; creating a team of scientists and officials who were assigned to this clandestine operation. For years they worked to bring to Pakistan technology and know-how to establish a uranium enrichment facility outside Islamabad, the Khan Research Laboratories. Some of these people also developed contacts with countries like Iran, Libya and North Korea, who were also seeking nuclear weapons. In return for huge monetary benefits, they provided them with information that was only meant for Pakistan. While admitting that there may have been intelligence lapses, President Musharraf believes that because of Mr Khan's stature it was not possible for anyone to doubt his intentions. "During this period it was not difficult for someone like him to carry the centrifuge design with him," he said. He says there was no physical transfer of hardware, only designs. President Musharraf says the only motivation for these scientists was money. Two ex-army chiefs have also been questioned. General Aslam Beg, who was the army chief during the most crucial period of 1988-92, and General Jehangir Karamat, who headed the military in the mid-1990s, were asked about their involvement. President Musharraf says they have been cleared by the investigators. So if President Musharraf is to be believed, these few scientists deceived the Pakistani establishment, particularly the powerful military and its intelligence agencies. They made hundreds of millions of dollars by selling nuclear know-how to three different states. Some analysts believe a more thorough investigation is required to establish that only 11 scientists and officials were involved. The proliferation controversy has shocked the country. Its demoralising effect on most Pakistanis can be compared to the country's defeat in the 1971 war with India, which led to the creation of Bangladesh. 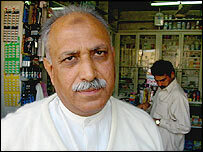 Dr Khan's admission of responsibility has virtually shattered those who regarded him as a national hero. President Musharraf's explanation that national heroes cannot be protected when the country's own prestige is at stake has gone some way to satisfying people at home. However, it may not be enough to satisfy the international community, particularly the international atomic agency IAEA. Perhaps at some stage Islamabad will have to share its findings with the international community to convince the world that the Pakistani establishment was neither involved in the past, nor will ever share its nuclear knowledge with any other country. "Now the authorities will be hoping this whole embarrassing affair goes away"